Mount Saint Catherine is a stratovolcano and the highest mountain on the Caribbean island of Grenada. It is located in St. Mark's, Victoria. It is the youngest of five volcanoes which comprise the island. The volcano has a horseshoe-shaped crater open to the east, with several lava domes within it. There are two approaches to the top, both somewhat strenuous. The most maintained trail is from the eastern side, outside of Grenville. Tours from Victoria are also available, as are guides to Tufton Hall Waterfall, the largest waterfall on the island, halfway between Victoria and St. Catherine. Mount Qua Qua is a 1,853 ft / 565 m mountain peak near Grenville, Saint Andrew, Grenada. Based on peakery data, it ranks as the 2nd highest mountain in Saint Andrew and the 4th highest mountain in Grenada. The nearest peaks are Mount D'Or, South East Mountain, Mount Granby, Mount Sinai, Mount Plaisir, and Mount Lebanon. Mount Brisbane is a 2,030 ft / 619 m mountain peak in Saint David, Grenada. Based on peakery data, it ranks as the 2nd highest mountain in Saint David and the 3rd highest mountain in Grenada. The nearest peaks are Richmond Peak, Kukunjare, La Soufriere, Grand Bonhomme, Petit Bonhomme, and Mount Saint Andrew. Mount Nelson is a 1,677 ft / 511 m mountain peak near Victoria, Saint Mark, Grenada. Based on peakery data, it ranks as the 1st highest mountain in Saint Mark and the 5th highest mountain in Grenada. The nearest peaks are Mount Saint Catherine, Mount Felix, Mount Granby, Mount Plaisir, Mount Qua Qua, and Mount D'Or. 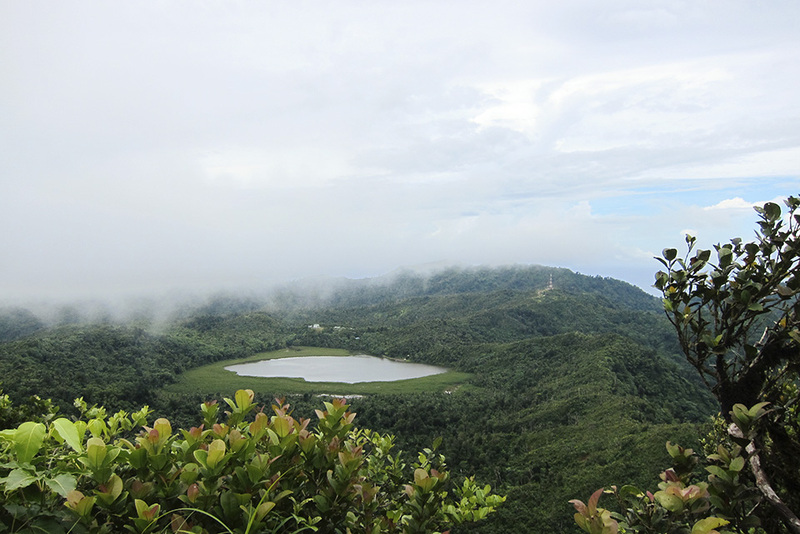 South East Mountain is a 1,667 ft / 508 m mountain peak near Grenville, Saint Andrew, Grenada. Based on peakery data, it ranks as the 3rd highest mountain in Saint Andrew and the 6th highest mountain in Grenada. The nearest peaks are Mount Lebanon, Mount Sinai, Mount Qua Qua, Mount Maitland, Mount Morice, and Mount D'Or. Mount Granby is a 1,442 ft / 440 m mountain peak near Gouyave, Saint John, Grenada. Based on peakery data, it ranks as the 1st highest mountain in Saint John and the 7th highest mountain in Grenada. The nearest peaks are Mount Plaisir, Mount Felix, Mount D'Or, Mount Qua Qua, Mount Nelson, and Mount Saint Catherine. Mount Sinai is a 1,379 ft / 421 m mountain peak near Grenville, Saint Andrew, Grenada. Based on peakery data, it ranks as the 4th highest mountain in Saint Andrew and the 8th highest mountain in Grenada. The nearest peaks are Mount Lebanon, South East Mountain, Mount Maitland, Mount Qua Qua, Mount D'Or, and Mount Granby. Mount Felix is a 1,134 ft / 346 m mountain peak near Gouyave, Saint John, Grenada. Based on peakery data, it ranks as the 2nd highest mountain in Saint John and the 9th highest mountain in Grenada. The nearest peaks are Mount Nelson, Mount Granby, Mount Saint Catherine, Mount Plaisir, Mount Qua Qua, and Mount D'Or. Kukunjare is a 933 ft / 285 m mountain peak in Saint David, Grenada. Based on peakery data, it ranks as the 3rd highest mountain in Saint David and the 11th highest mountain in Grenada. The nearest peaks are Richmond Peak, Mount Brisbane, Grand Bonhomme, La Soufriere, Petit Bonhomme, and Mount Saint Andrew. Mount Maitland is a 855 ft / 261 m mountain peak near Saint David’s, Saint David, Grenada. Based on peakery data, it ranks as the 4th highest mountain in Saint David and the 12th highest mountain in Grenada. The nearest peaks are Mount Sinai, Mount Lebanon, Mount D'Or, Mount Qua Qua, South East Mountain, and Mount Granby. Mount Plaisir is a 815 ft / 249 m mountain peak near Gouyave, Saint John, Grenada. Based on peakery data, it ranks as the 3rd highest mountain in Saint John and the 13th highest mountain in Grenada. The nearest peaks are Mount Granby, Mount D'Or, Mount Felix, Mount Qua Qua, Mount Nelson, and Mount Saint Catherine. Mount D'Or is a 680 ft / 208 m mountain peak near Saint George's, Saint George, Grenada. Based on peakery data, it ranks as the 1st highest mountain in Saint George and the 14th highest mountain in Grenada. The nearest peaks are Mount Qua Qua, Mount Plaisir, Mount Granby, Mount Maitland, Mount Sinai, and Mount Felix.